Discussion in 'The Annex' started by Clutch, Jul 11, 2018. We all love them post your vids here. I'll have to get some the next time I head towards the Strasburg Railroad, they sometimes use the steam engine from the tourist train as a helper for their freight service. This thing has been on display since before I can remember anything. 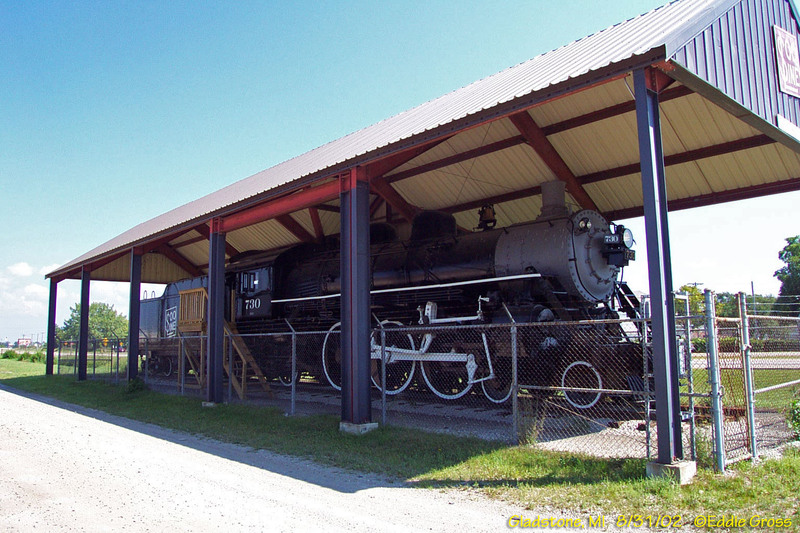 An old Soo Line Steam Engine in Gladstone, Michigan. Oh boy. more trainiacs! Love'm. Sadly here there's just an occasional freight train that goes to Electric Boat at Quonset. The Acela speeds through daily. An old favourite down here. I like this one just because of the unusual place its running. LewTheShoe, DUN24 and Clutch like this. Man wouldn't that slow traffic. An amazing sight on the freeway. Saw this video a few months ago. What a trip it must have been driving next to that behemoth. I hear the Great Smoky Mountain Railroad has steam running again. I'm going to try to get the boys up there and check it out soon. Meanwhile, we're going to disney in a couple of weeks, one of my favorite rides is the slow ride around the Magic Kingdom in one of the Disney Steam trains. Disney himself was a huge railfan. Go Panthers and kkfan91 like this. They've got a behind the scenes tour of the disney trains, one of these days im going to take that tour. one can argue, without trains, Walt would have never built Disneyland. Unfortunately I don't know anything else, I came across it for the first time on a facebook page. In May of 1927, the Santa Fe Railway took delivery of Engine 3751 from the Baldwin Locomotive Works of Philadelphia (with the builder's number 60004). This was Santa Fe's first 4-8-4 engine (this meant that the locomotive had 4 small pilot or leading wheels followed by 8 large driving wheels and then 4 more small trailing wheels). Engine 3751 is the oldest surviving locomotive of its type in the world. Engine 3751 was initially designed as a coal burner and in 1936 it was converted to oil at the San Bernardino Shops of Santa Fe. The highest recorded speed of this locomotive was 103 miles per hour. It pulled the last steam powered passenger train in 1953 and was officially retired four years later when it was donated to the City of San Bernardino. The City then put it on static display at Viaduct Park, located at 2nd Street and Mt. Vernon Avenue. In the mid 1980's, Engine 3751 was sold to the San Bernardino Railroad Historical Society (SBRHS) for one dollar with the understanding that the engine be restored and operated. In 1991, Engine 3751 returned to operation as a steam locomotive, pulling a freight train from San Bernardino to Los Angeles. In 1995, Engine 3751 became the last locomotive that was serviced at Santa Fe's San Bernardino Yards before Santa Fe moved its operation to Kansas. Over the years, Engine 3751 has been stored in several locations and has participated in several events throughout the country. On June 12, 2004, Engine 3751 pulled a series of passenger cars from its current storage location in Los Angeles to San Bernardino to participate in the rededication of the fully restored 1918 Santa Fe Depot. 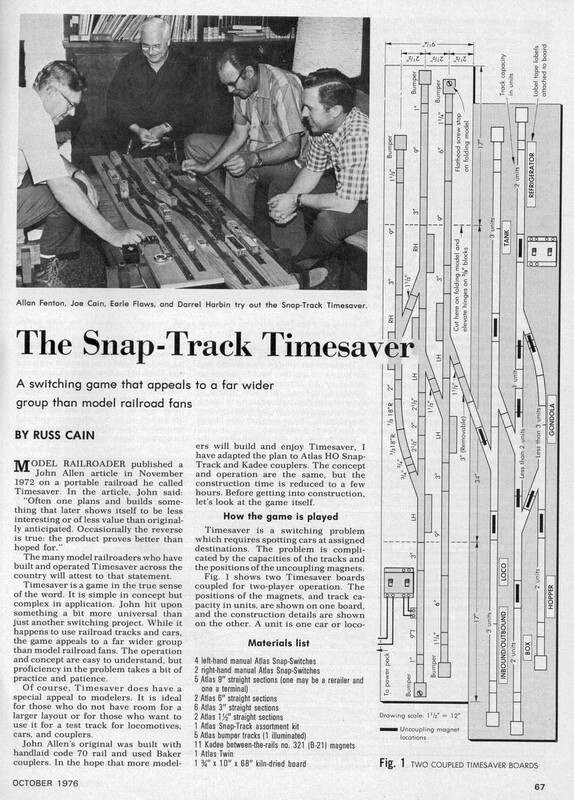 if you don't have space but want to play try a 'time saver''. Many varieties, this was the original, just google for them.